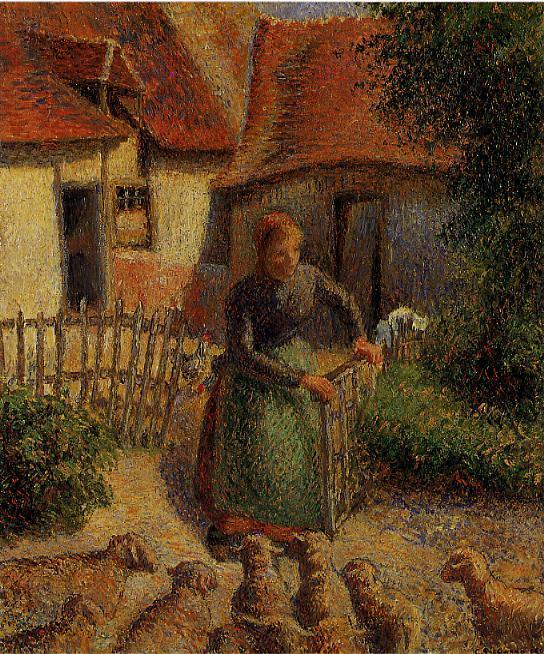 Camille Pissarro (1830-1903), A Flock of Sheep (1888), oil on canvas, 46 x 55.2 cm, Private collection. Wikimedia Commons. I am, of course, feeling a little sheepish today about yesterday’s article, Huw Wystan Jones: the Welsh Impressionist. It was completely and utterly false, a spoof for the First of April. What day could be more appropriate to celebrate the newly-discovered influence of the Welsh Impressionist? – indeed. I would also like to apologise to Constant Troyon (1810–1865), Camille Pissarro (1830-1903), and Anton Mauve (1838–1888), whose paintings I deliberately misappropriated and attributed incorrectly. For the record, the following are the correct paintings with the correct attributions. I also blurred some of the signatures to hide them: these images are unadulterated in any way. 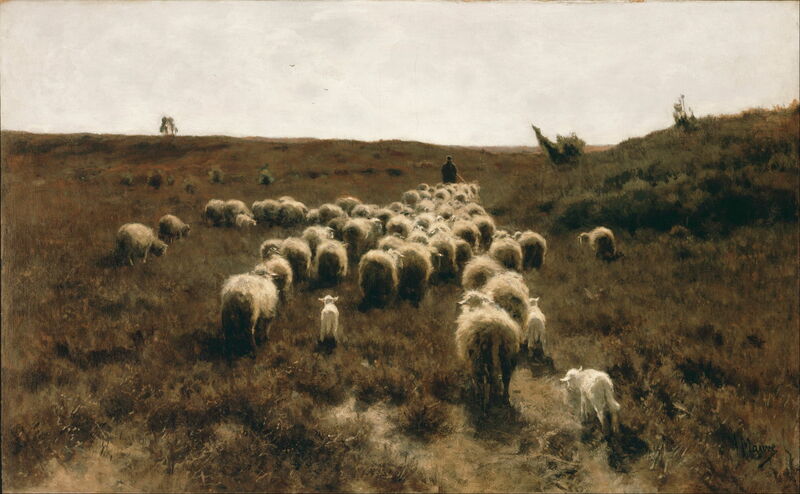 Anton Mauve (1838–1888), The Return of the Flock (1886-7), oil on canvas, 100.2 x 161.4 cm, Philadelphia Museum of Art, Philadelphia, PA. Wikimedia Commons. 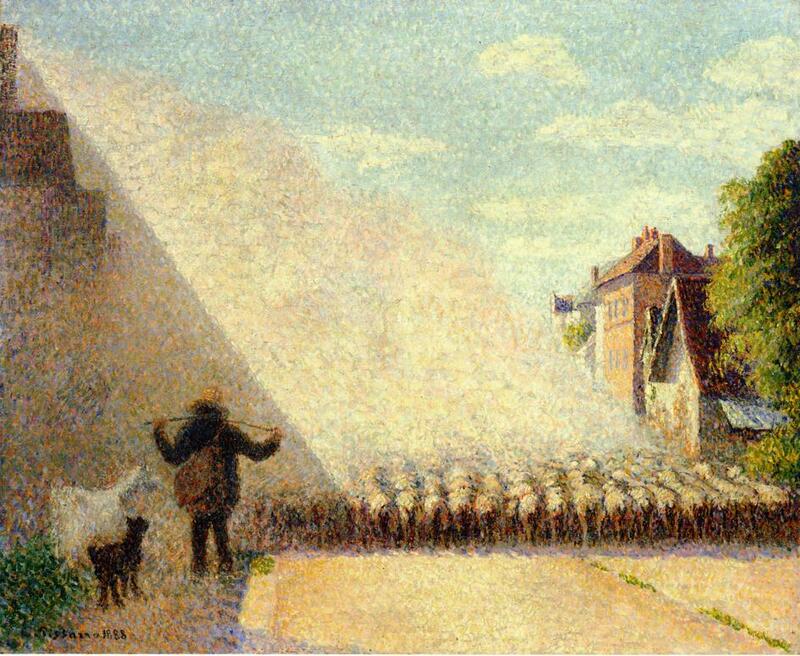 Camille Pissarro (1830-1903), The Shepherdess Bringing in Sheep (1886), oil on canvas, 38.1 x 46.4 cm, Fred Jones Jr. Museum of Art, University of Oklahoma, OK. Wikimedia Commons. 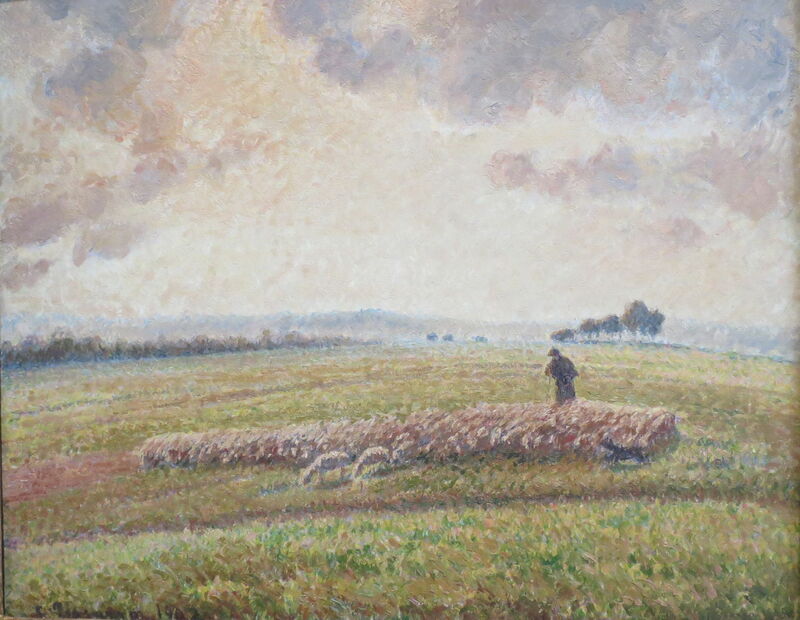 Camille Pissarro (1830-1903), Landscape with a Flock of Sheep (1889-1902), oil on canvas, 48.3 × 60.3 cm, Norton Simon Museum, Pasadena, CA. Wikimedia Commons. 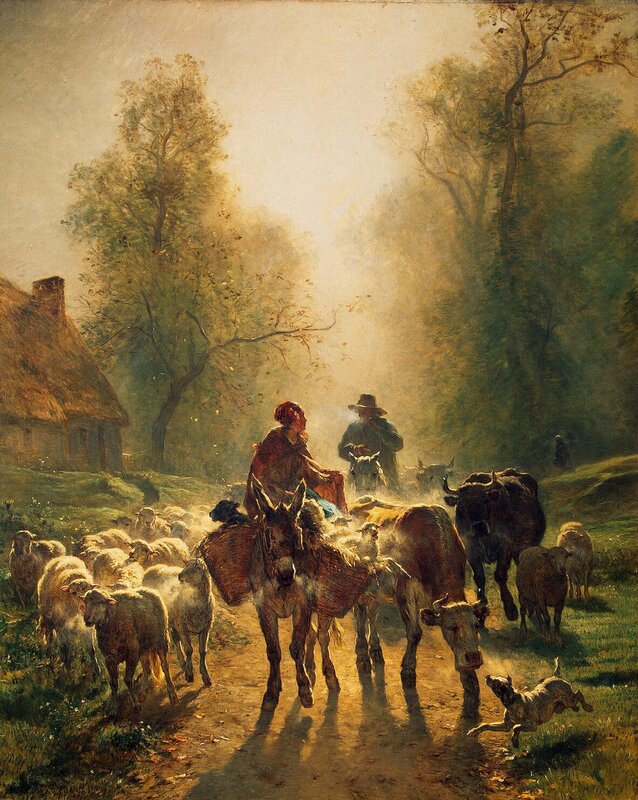 One interesting discovery which I made in the course of preparing my little spoof was how uncommon sheep are in nineteenth century paintings. 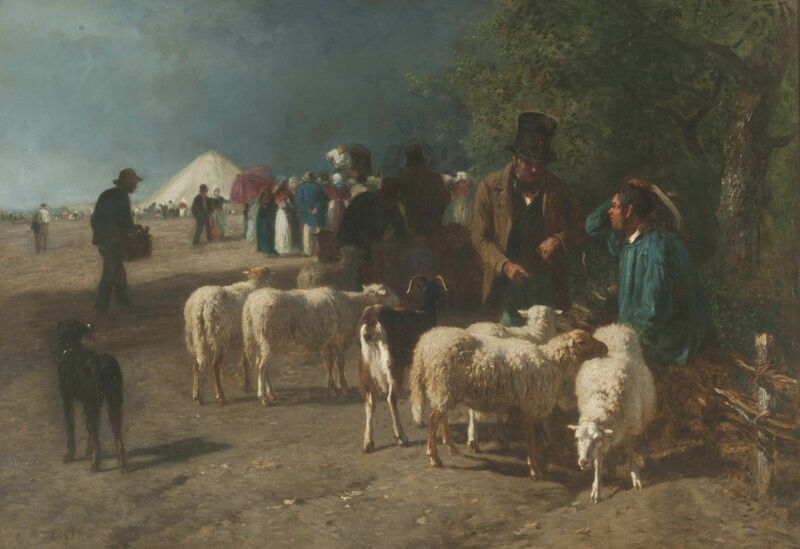 With the exception of the wonderful specialist farm animal paintings by Troyon, and some more obviously recognisable works by the Macchiaioli, few artists seem to have depicted sheep much. Perhaps today’s generation will flock to do so in the light of the fictional Huw Wystan Jones. I hope that it brought you a little amusement. Posted in General, Language, Life, Painting and tagged April, humour, Jones, sheep. Bookmark the permalink.